No, this is not a blog post about botany. I’m talking about big, industrial plants that produce “stuff” based on some model, whether it be “continuous” (think oil refineries), “discrete” (think cars), or “batch” (think pharmaceuticals). Industrial plants really haven’t changed much in the last few decades. They cost a lot of money to build. They typically have very specific technology, often provided by a small handful, or maybe even as single vendor. And once up and running, they don’t like to change. It’s a big deal to take a plant offline to “retool” it. So, can we really change the dynamics of this model, or life cycle? The Open Process Automation Forum (OPAF), is working diligently to do just that. 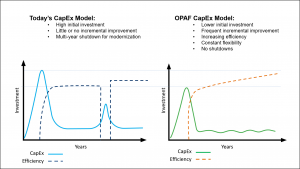 Through the development of open standards and open systems frameworks, OPAF is focusing on breaking the grip of closed, proprietary process automation systems. 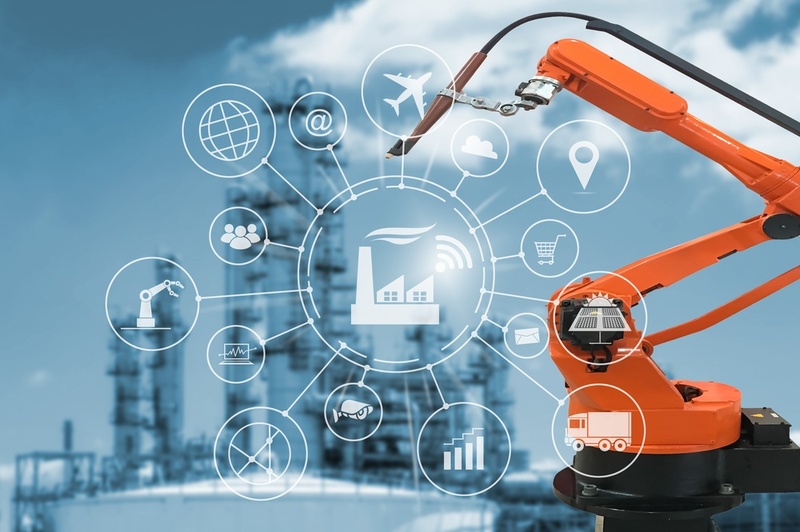 By replacing closed systems (e.g., programmable logic controllers) with open “distributed control nodes” that can be configured to perform multiple tasks, a plant can become much more agile and dynamic, and the life cycle model of upfront and ongoing investment changes dramatically. Our CEO, Brandon Williams recently gave a presentation with Peter Martin, Vice President of Business Innovation and Marketing at Schneider Electric, on this topic. You can view the presentation by clicking HERE. A key aspect of the presentation was the notion that by utilizing open systems, you can not only avoid a lot of upfront capital expenditures, but also reduce operational expenditures by “smoothing” out plant refresh cycles. The result is lower costs over the life cycle, and plant operators have a much clearer picture of their investment model over the life of the plant, as depicted in the following graphic. Obviously, the transformation to open standards and open systems does not occur overnight. But, by using open platforms built on virtualized edge clouds with automated orchestration, you can begin realizing these benefits now. Contact us and we’ll show you how!